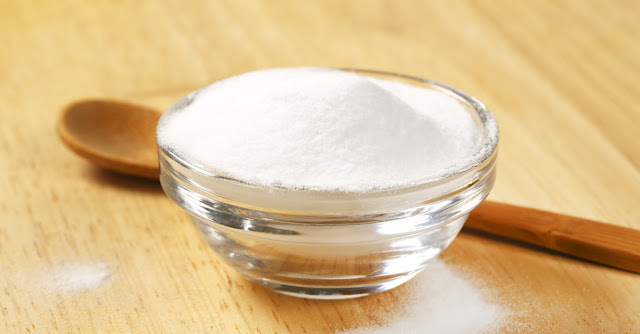 Home beauty curejoy dailythings Diet DIY fitness Food Girls Guys Health & Wellness Health and Wellness Interesting knowledge Nutritions recent slider What Are The Benefits Of Baking Soda On Skin? What Are The Benefits Of Baking Soda On Skin? Baking soda, also known as sodium bicarbonate is an odorless crystalline white solid that has many industrial, food, and health uses. It is found in its natural state, dissolved in mineral springs around the world, making it easily available and cost effective. Baking soda has been widely used since ages as a natural, chemical-free, anti-bacterial agent to tackle a myriad range of skin problems. It works as an effective exfoliate removing dry, dead skin that can cause acne, blackheads and other skin problems. Here is a list of benefits of baking soda on the skin. Baking soda falls under the category of physical exfoliates and its fine granule structure removes dead skin cells without causing excessive irritation. Baking soda anti bacterial and anti fungal properties treat infections that cause blackheads and loose skin around them to enable easy extraction. Baking soda is alkaline, which helps soften the sebum and debris on the face. It also clears and opens up pores and absorbs excess oil preventing clogging of pores. A paste made of baking soda in water, when dabbed on insect bites, allergic rashes, and skin exposed to poison oak/ivy reduces discomfort. Combine 1 and 1/2 tbsp baking soda with 1 tbsp water into a paste and gently rub into the skin. Keep on for 5-10 mins, rinse with lukewarm water, pat dry and apply a moisturizer. Combine 2 tsp. of oatmeal with 1 tsp. Baking soda, stir until mixed. Add water drop by drop, until it forms a paste. Apply to face gently rubbing in a circular motion. Rinse well with lukewarm water after 5-10 mins, pat dry and moisturize. Mix baking soda and coconut oil in a 1:1 ratio. Apply generously over acne or scarred skin and rinse with lukewarm water after 5-10 mins. Mix 1 tbsp of baking soda with 1 tbsp of no-pulp orange juice and apply it on your face for 20 mins. Rinse clean, pat dry, and moisturize. You can use lemon or grapefruit juice if orange juice is not available. Mix 2 tbsp of baking soda, 2 tsp of honey and 1 tbsp of lemon juice or orange juice. Wash your face and pat it dry. Put the mixture on your face and wait for 15 minutes. Then rinse, pat dry and moisturize. Mix 1/3 cup baking soda, 1 tbsp lemon or orange juice, and 2 tbsp of tea tree oil and apply on your face for about 10 minutes. Rinse, dry gently and moisturize. Avoid applying it directly to raw or tender skin (for example: after shaving) because this will cause a temporary stinging or burning sensation. Avoid baking soda baths if you have any open blisters, wounds, burns or cracked skin. Never use a baking soda face mask, if you have a sunburn on your face. Check sensitivity before directly applying on the face. Use a small (finger tip) portion and apply on your forearm. If you notice a burning or stinging sensation within 5 minutes, wash off with water immediately. Avoid contact with eyes. Rinse with cold water immediately if you do get some in your eyes.